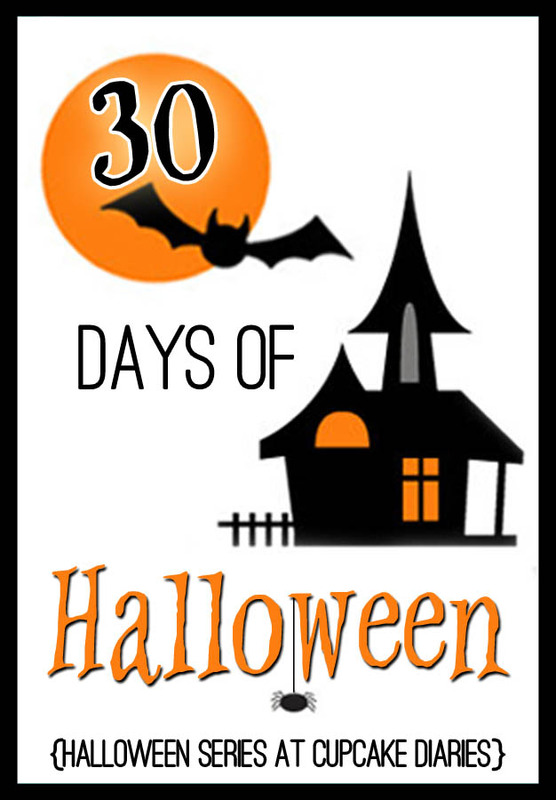 I’m thrilled to be a part of Cupcake Diaries “30 Days of Halloween” event. Several blogs are sharing their fun crafts, recipes, and ideas for Halloween. I love the idea of making bottles appear old and spooky and used in a Halloween display. This is an inexpensive and easy project that anyone can do. You can use any type of jar or bottle. I recycled some food jars I already had. Thrift stores are also a great source for jars or bottles. You will also need some Mod Podge, wood glue or white glue, food coloring or paint, labels, and a glue gun. There are so many ways to do these. You may find other products may also work. You will also need some labels. In the past I’ve made my own by simply typing up the names and printing on cardstock. The labels I used for this project are here. The first thing I did was cut the labels out and scrape the edges using a sharp edge of your scissors. This helps the labels look “old”. Then I adhered the labels to the jars with Mod Podge. Next I added some “hot glue drips” on the jars. I then mixed some brown stain and Mod Podge and coated the jars with the mixture. Mix as much brown paint or stain into the Mod Podge to create the color you would like. The darker the brown, the darker brown the jars will be. Let dry. I then added drips of wood glue to add some dimension. I like the color the wood glue makes when it dries, but you could mix paint and regular glue together to create a good color. In the past I’ve also used “Gorilla Glue” which makes a “crusty” look on the jars when dry. Once that dries I added colored water to each jar and topped them with jute and burlap. There are so many things you could do or add to the bottles. My steps above are just the basics. Adding plastic eyeballs, spiders, or hair to a jar. You could spray paint or brush paint the bottles and jars in “spooky” colors. Design images on the jars using your glue gun. Below are some of the other projects highlighted during the “30 Days of Halloween” event. Oh, I’m so glad you like them. Thanks for your sweet comment.